Municipal officials learned about situation minutes before mayor Andre Sayegh was scheduled to hold a press conference with regional administrators from the U.S. Department of Housing and Urban Development (HUD) at the Lakeview Firehouse on Wednesday afternoon to showcase the heavy machinery. Sayegh had to cancel the event at the last minute. But that changed on Wednesday. An official from HUD called Community Development director Barbara Blake-McLennon at 12:10 p.m., 20 minutes before Sayegh’s press conference, to say the expense was not eligible. “Paterson did not classify the purchase correctly. The purchase of that type of equipment is not eligible. Fire protection equipment is eligible but as they described it, this equipment would be to demolish buildings damaged by fire and not to protect from fire. While demolition is an eligible activity, the purchase of equipment for demolition is not,” said Olga Alvarez, a spokeswoman for the U.S. Department of Housing and Urban Development (HUD), on Wednesday afternoon. Municipal officials wanted to create a demolition unit to knock down unsafe buildings, mostly in rundown poor neighborhoods, following fires. It could have also been used to combat blight in parts of the city. By removing vacant buildings, the city, in a way, would have prevented future fires. Vagrants takeover vacant buildings, light fires that sometime spread to neighboring buildings, displacing residents, according to municipal officials. The equipment would be kept in a firehouse and used by trained and licensed public works employees. 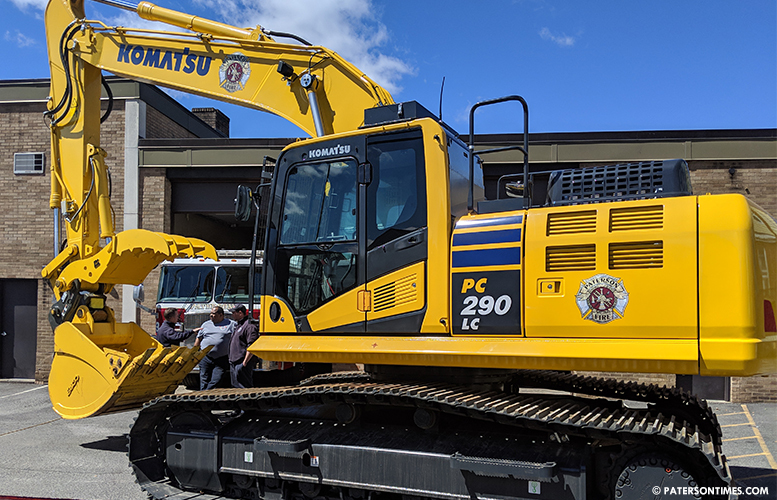 Part of the $731,000 included funds for training municipal workers on use of the equipment. “If we end up not being able to use this funding, we’re going to have to return the equipment,” said Long. She said the city’s budget cannot absorb the expense. She said returning the equipment could require the city to pay shipping fees. Long said the city is also looking at alternative plans, possibly using the funds for something else. There is really no need for this equipment here. How often will this be use, why do we need this. Who will be handling this. Please return, Paterson should pick up the restocking fee that will include the shipping. You're kidding, right? This is a must for any city that has 100 abandoned properties. Paterson has like 1,000 of them that has to be demolished. It means big savings for taxpayers. Don't be shortsighted. Absolutely not needed, find a grant to hire more cops! FD hires through grants, the Police department needs to do the same. We have more firemen than cops, why? ?